hand tools : Cheap, cheap! I love a bargain. you wont get them cheaper than that will you. you got a bargain there Gee. Bargain Gee. 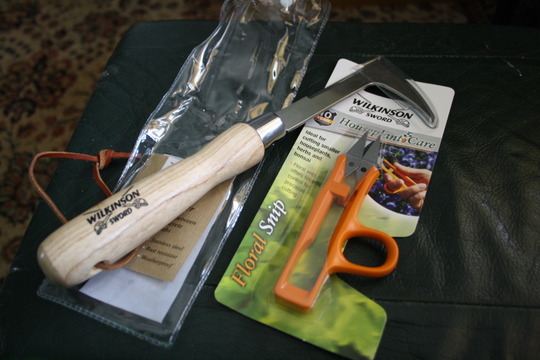 I find the weeder very usefull.Had mine for years, free with Gardeners World magazine. I'm going in again next week, Sanbaz, if you want me to try and get you one I'd be happy to. i love the 99p shop, i get loads of stuff, seeds, compost, tray's, lil tubs, big tubs (homebase want £3-£4 for the bigger tubs!) and more! the one near work open's at 8.30 so i usually stop in on the way to get bits to keep me busy in the afternoon lol. Not seen anything this good tho, well spotted!